The West Midlands Branch of SUE meets regularly with the Regional Management of UNISON to discuss issues affecting the working arrangements of SUE members employed in the West Midlands Region of UNISON. Following the elections at the 2019 Annual General Meeting, the Branch Chair is Hannah Mungovan and the Joint Branch Secretaries are Beccy Head and Charlie Sarell. Charlie Sarell and Beccy Head share a seat on the SUE’s Executive along with Joe Williams who is the National Membership Secretary. Charlie Sarell is also one of the the two Joint National Secretaries of SUE. Dee Griffiths and Joe Williams: Joint Admin and Clerical Reps.
Maddie Price, Jack Kay and Becci Dalton. The Branch meets regularly to discuss local issues and get feedback from the Executive and Regional Trade Union /Management Meetings. 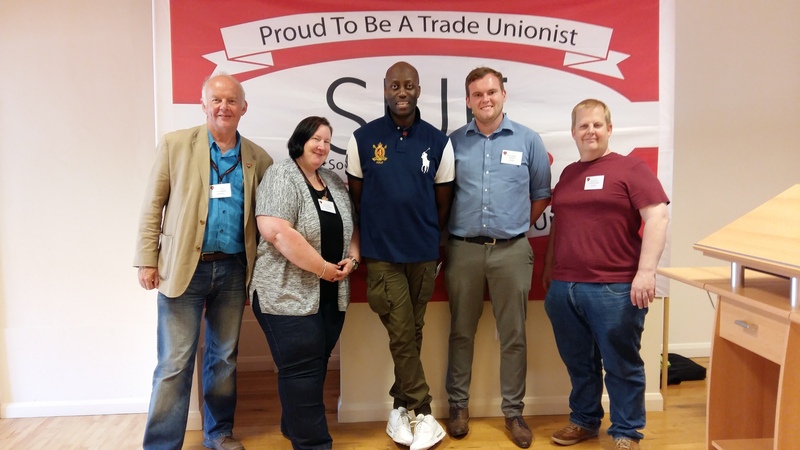 Members of the Branch at the 2017 SUE National Conference. 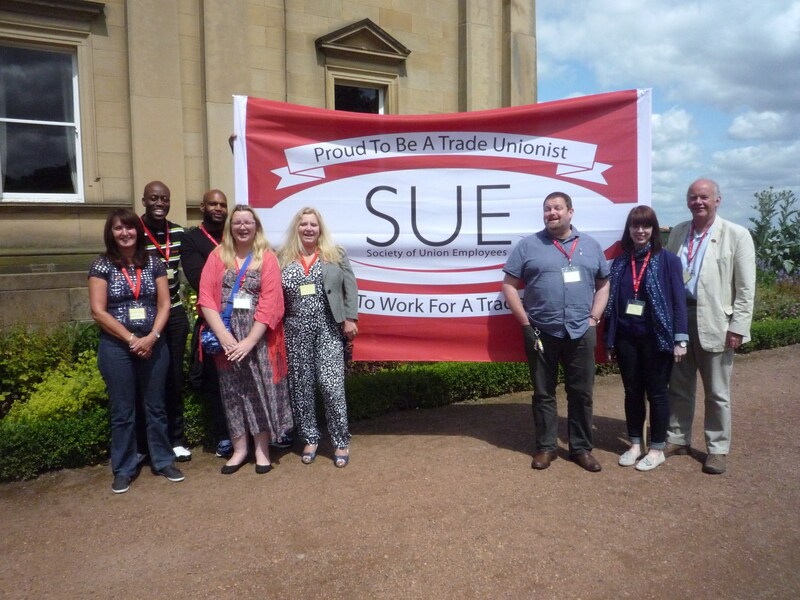 Members of the Branch at the 2015 SUE Conference .